Product prices and availability are accurate as of 2019-04-24 03:01:16 BST and are subject to change. Any price and availability information displayed on http://www.amazon.com/ at the time of purchase will apply to the purchase of this product. This HomCom bathroom medicine cabinet offers a stylish look and generous storage space in an easy to install package. 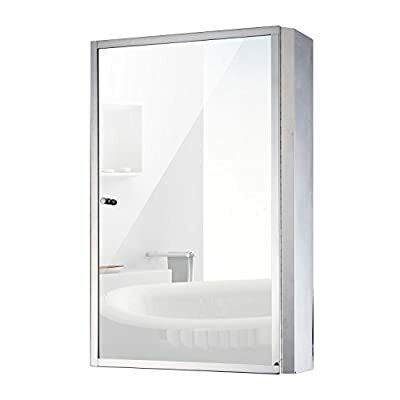 It features a sleek full-overlay mirror design as well as three inner shelves to store all of your essentials, from makeup and toiletries to medicine and first-aid supplies. 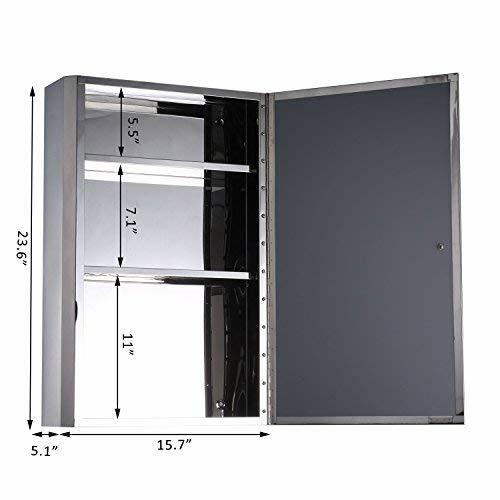 This cabinet is made from rust-resistant stainless steel material, which greatly extends the life of our product. It's an ideal solution for keeping your bathroom space neat, tidy and organized.
? STYLISH LOOK: This HomCom hinged single door, stainless steel cabinet with mirrored front presents a polished look that complements a wide range of decor styles. ? ALL-IN-ONE: The all-in-one mirror and cabinet design is done in a compact style to conserve space in smaller bathrooms and gives you the ability to store personal hygiene essentials out of sight. ? 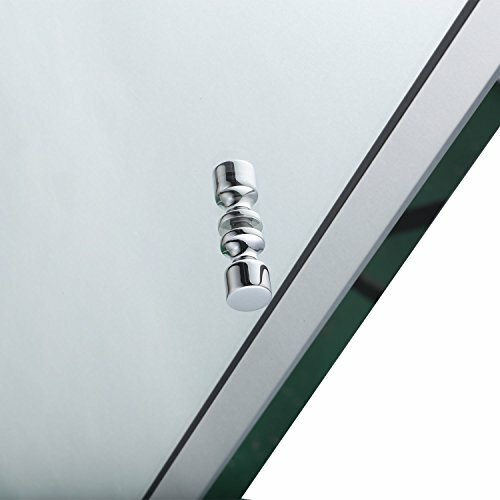 TRIPLE MIRROR DESIGN: Our HomCom cabinet offers a triple mirror design, with a mirrored surface on the front, on the back of the door and also on the back of the cabinet. ? ADDITIONAL FEATURES: Three inner compartments provide generous storage space within the unit with varying heights of: bottom shelf: 16"L x 5"D x 10.75"H, middle shelf: 16"L x 5"D x 7.25"H and top shelf: 16"L x 5"D x 5.5"H. A magnetic, slow-closing door offers quiet opening and closing operation. ? DURABLE DESIGN: Rust-resistant, stainless steel material ensures years of use. 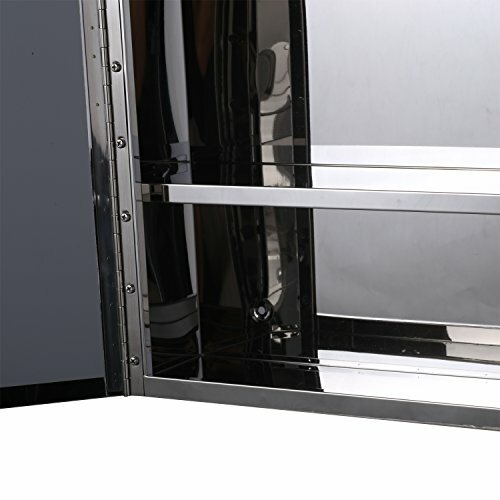 All hardware and instructions are included for quick installation. It's an ideal solution for keeping your bathroom space neat, tidy and organized.